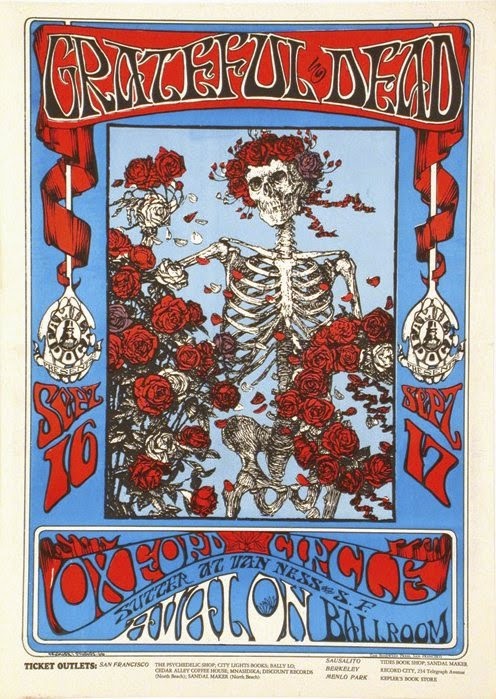 Celebrating the Avalon on the anniversary of the first Grateful Dead show back in 1966. 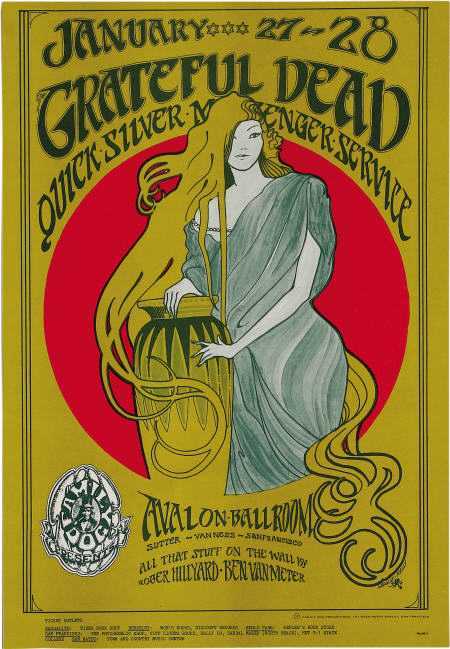 According to Wikipedia the building that housed the Avalon Ballroom was built in 1911 and was originally called the Colin Traver Academy of Dance. 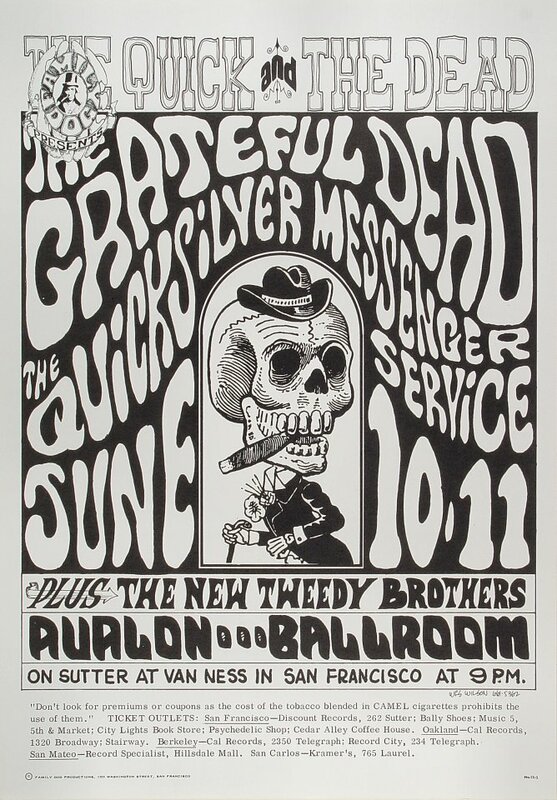 A lot of dancing must have occured here, especially starting on May 19th, 1966 when The Grateful Dead played their first Avalon gig. 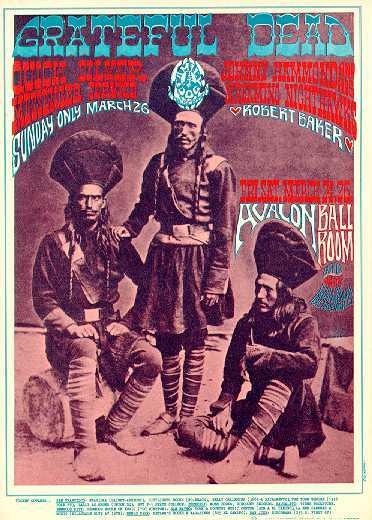 The Avalon was founded by Robert E. Cohen, impresario Chet Helms and his music production company, Family Dog Productions, which had offices on Van Ness. 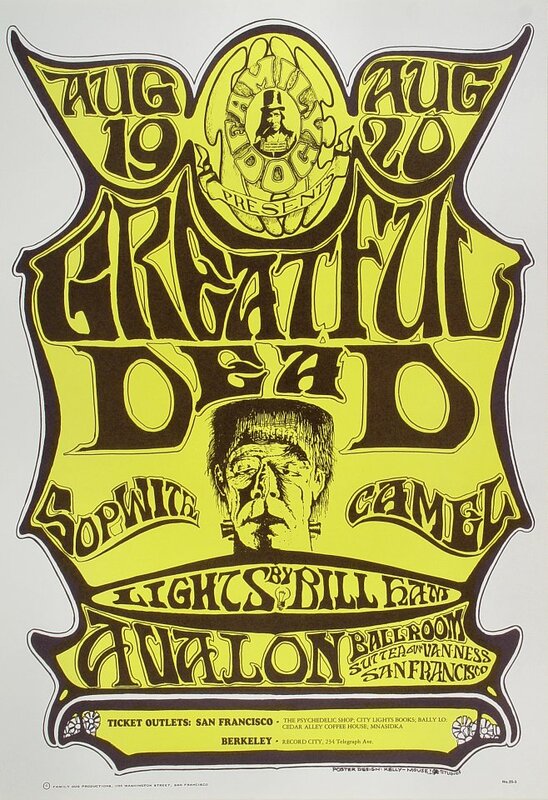 Bands were frequently booked to perform at the Avalon on Thursday, Friday and Saturday. 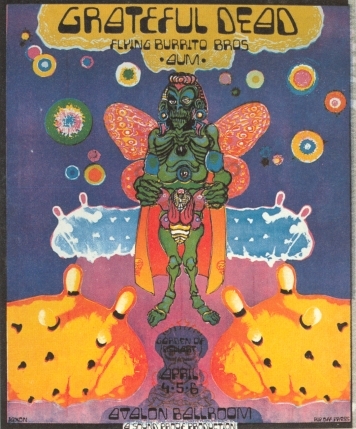 Extraordinary posters advertising each event were produced by psychedelic artists, including Rick Griffin, Stanley Mouse, Alton Kelley and Victor Moscoso. A classic Liquid light show was often provided by "Diogenes Lantern Works. 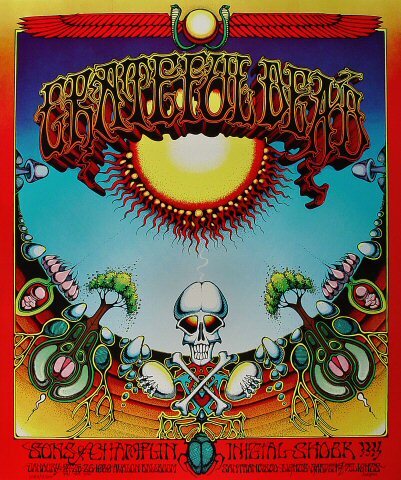 Three pages of links, setlists, and audio can be found here. 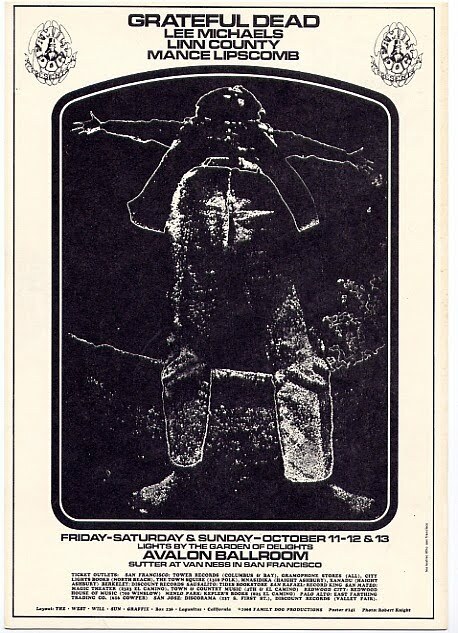 Other formats and the complete history of Avalon shows can also be found at the The SetList Program here.